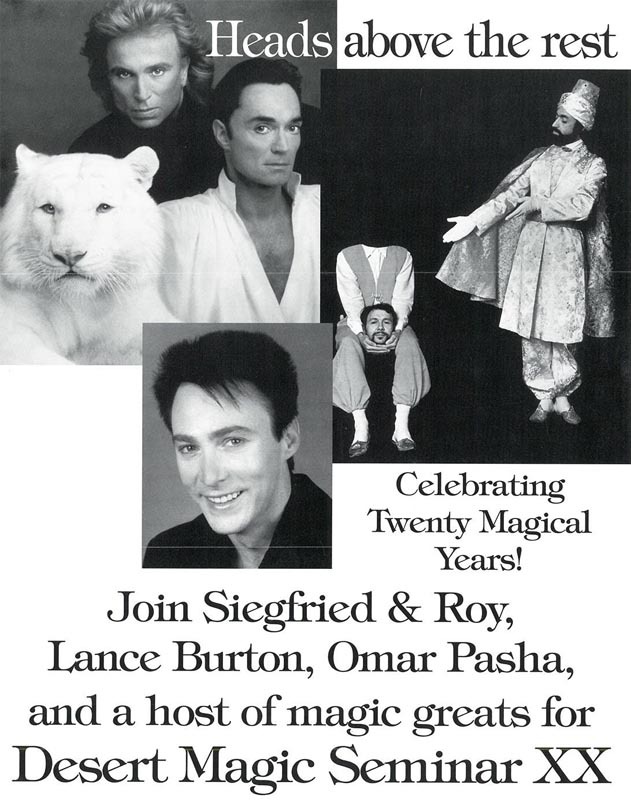 It was one of the main and most famous Magic Conventions in the U.S. for quite a few decades, supported by Siegfried & Roy and Lance Burton, organized by Joe & Martha Stevens. The Folies Bergère Theatre at the Tropicana Hotel is packed with about 1000 magicians, including every Magic Star of Las Vegas. Sincerely, we have such stage fright, we can not breathe anymore. 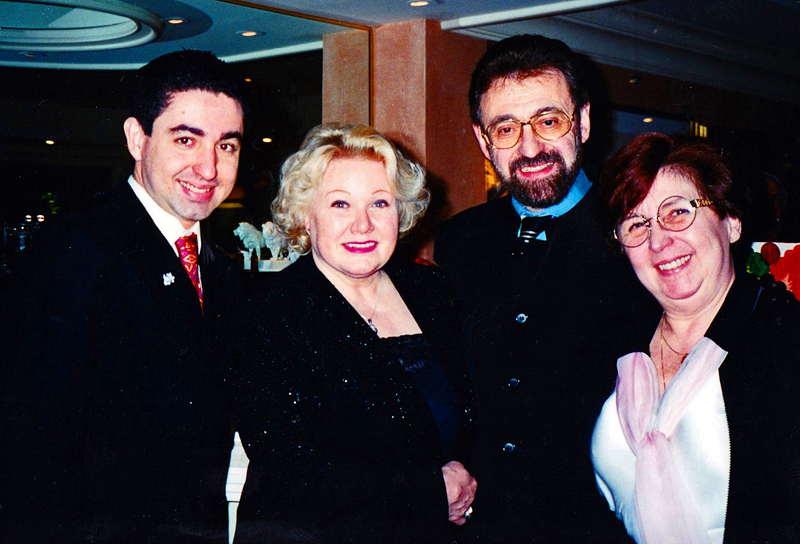 By luck, Irene Larsen (The Magic Castle / Hollywood) is there : “Why to scare ? You are such professionals since so long !” Thank you Irene. Then, when the curtain goes up, when the act goes its way, when you feel all of the audience with you, when the standing ovation comes, it is something that is a feeling, an emotion unaccountable and inexpressible. One of our deepest and greatest memories. 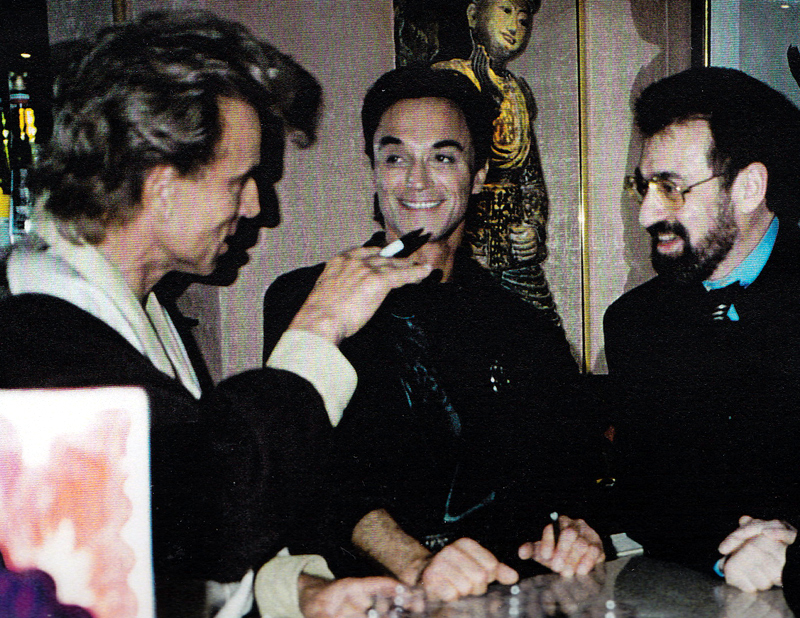 We have a long interview with John Moehring for the MAGIC magazine. The Seminar Awards Stage Show was dominated by one man : Omar Pasha. The buzz before and after was high-pitched. The rest was reverential silence and rapt awe. 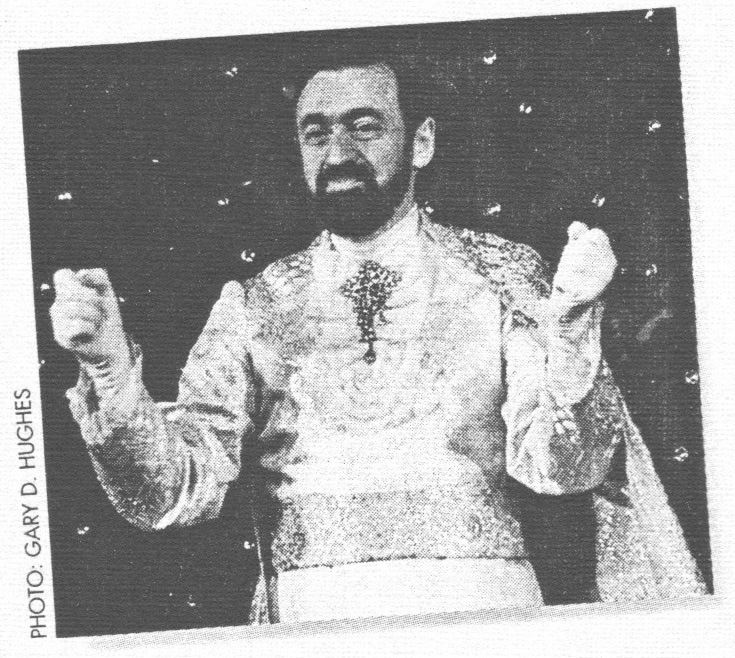 What “Bolero” secretly praises is what Omar Pasha’s black artistry does to every magician’s mind. The standing ovation was not only inevitable, it was preordained. … the real treat of the afternoon was the performance by France’s Omar Pasha with his black art act. The entire act was framed by an array of red light bulbs, and the black art worked to perfection. I was sitting quite close to the stage and could see nothing suspicious. 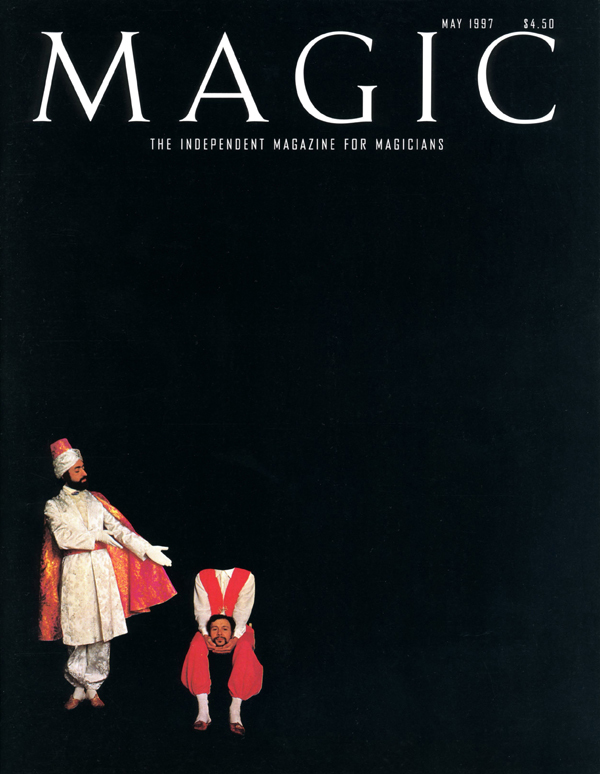 A black art act is a tough thing to develop: if you could do real magic, what would you do? Omar Pasha’s answer to this question earned him the first standing ovation of the convention.